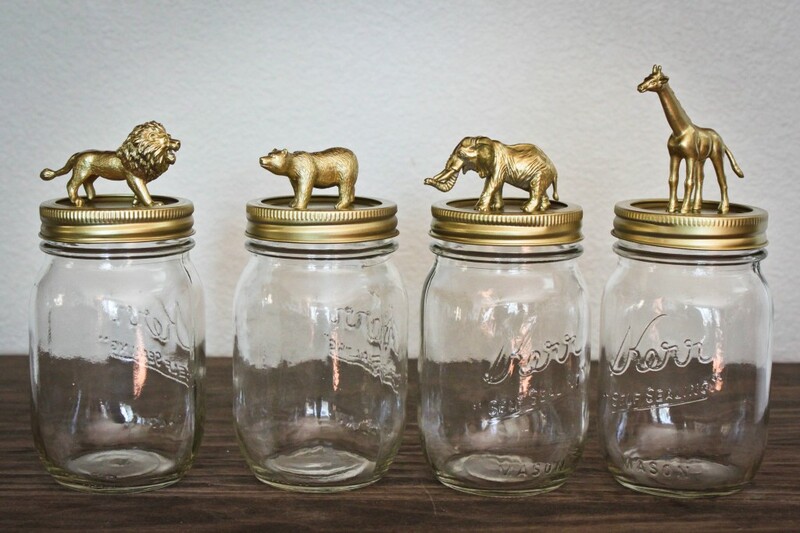 These golden safari mason jars are perfect to store office supplies in, used as a memory jar, or gift to a friend. 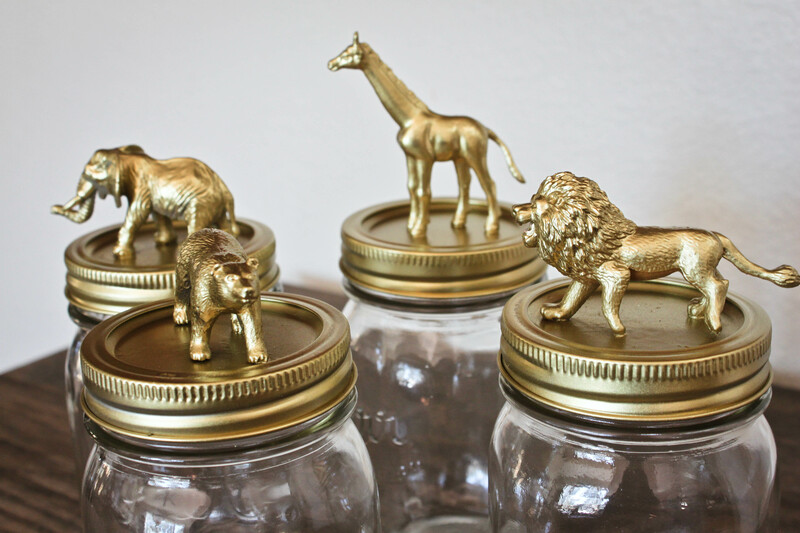 2) Outside, use the metallic gold spray paint to give the caps and animal figurines a nice golden coat. Let dry and add coats of spray paint if needed. 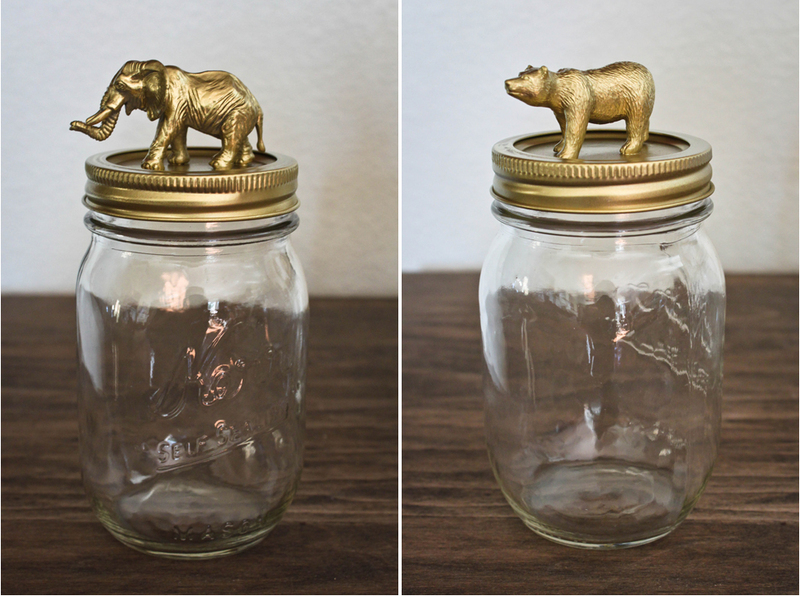 Enjoy your Golden Safari Mason Jars! 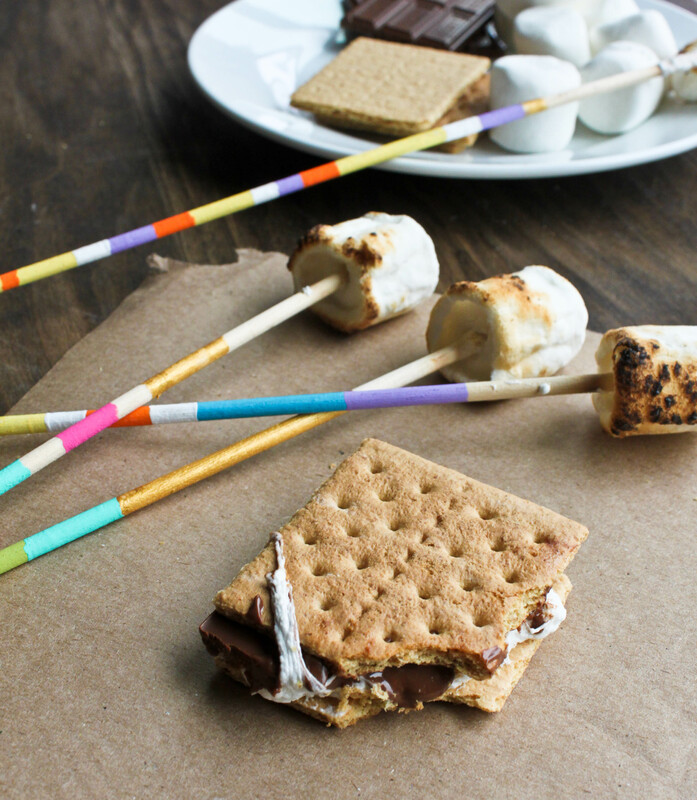 You can find people making s’mores pretty much everywhere during the summertime- around a campfire in the woods, a bonfire at the beach, in a backyard fire-pit and even over a gas stove. Here’s a fun DIY marshmallow roasting stick project that everyone will enjoy making this bonfire season! 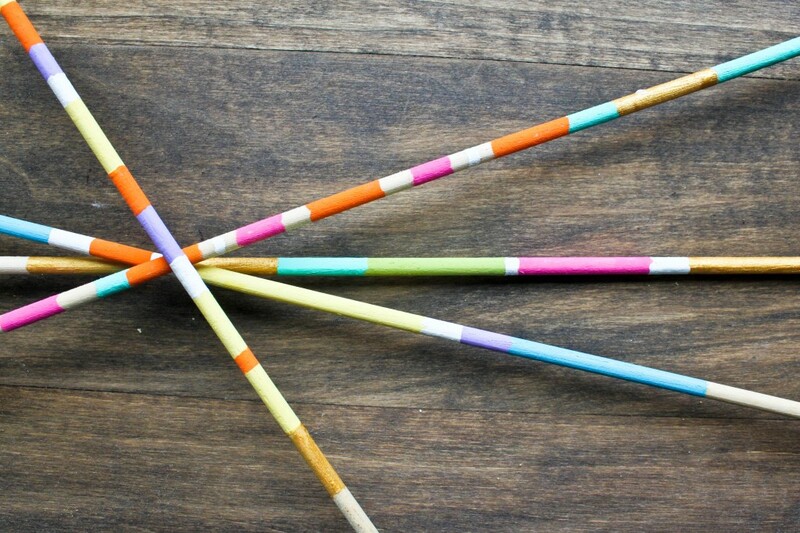 You only need three things for this project: paint, paintbrushes, and wooden sticks. 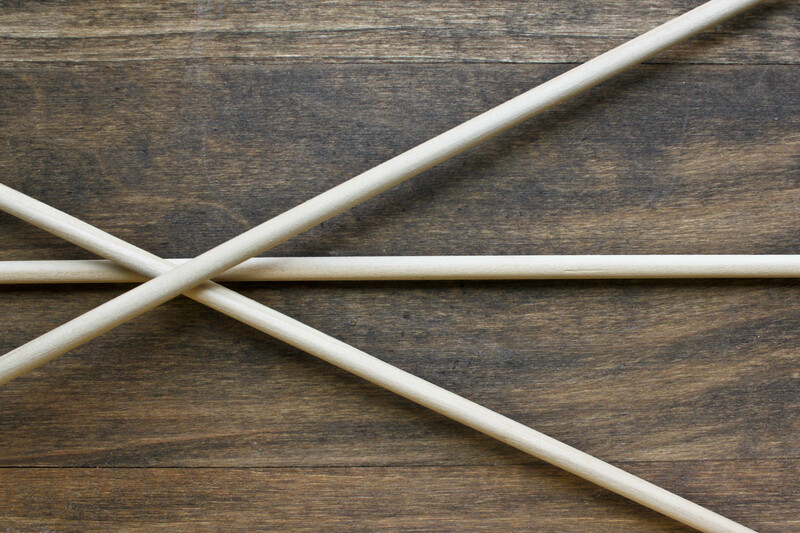 Wooden sticks can be easily found at a craft store. The ones that we used here are ½ cm thick and were a yard long. 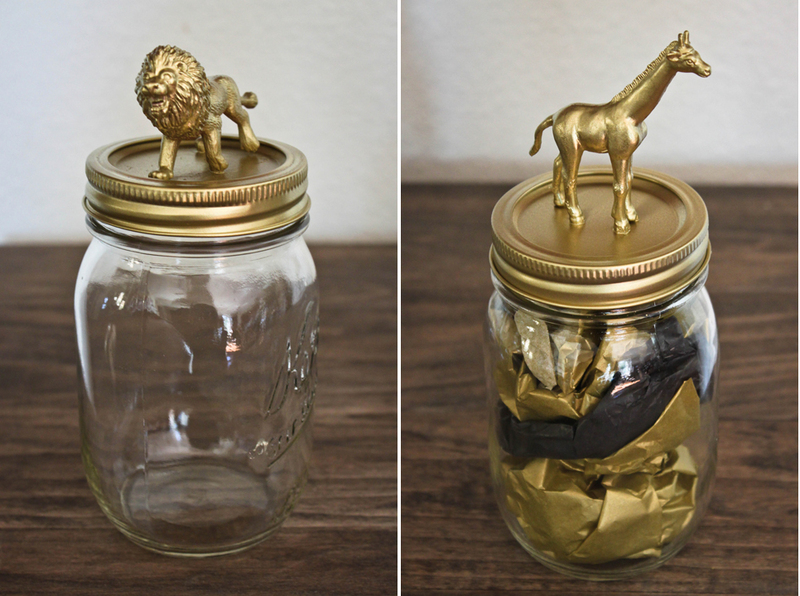 If you live or are camping in the woods, this project will be fun to do with tree branches too! First I ran all the sticks underwater to give them a quick wash and then I let them dry completely. We then cut each stick in half, leaving each about 18 inches long. 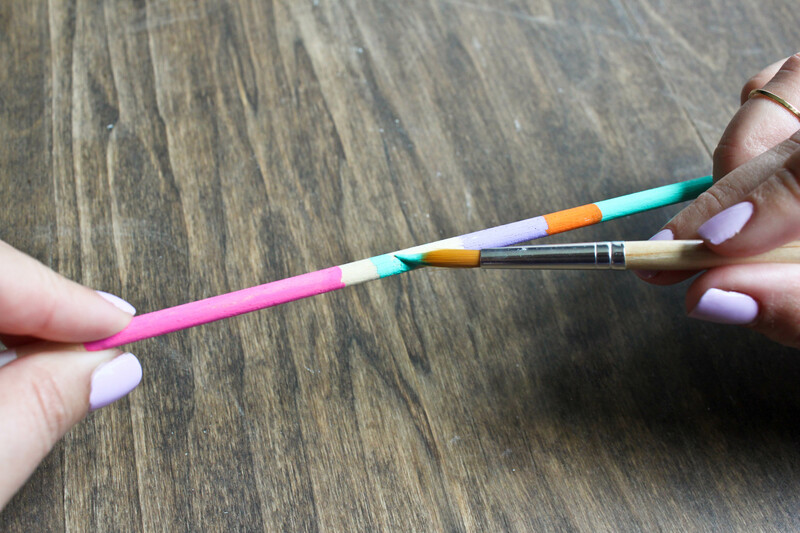 Now here’s the fun part: paint any design or pattern you’d like for your marshmallow stick. We used tons of bright colors for ours. 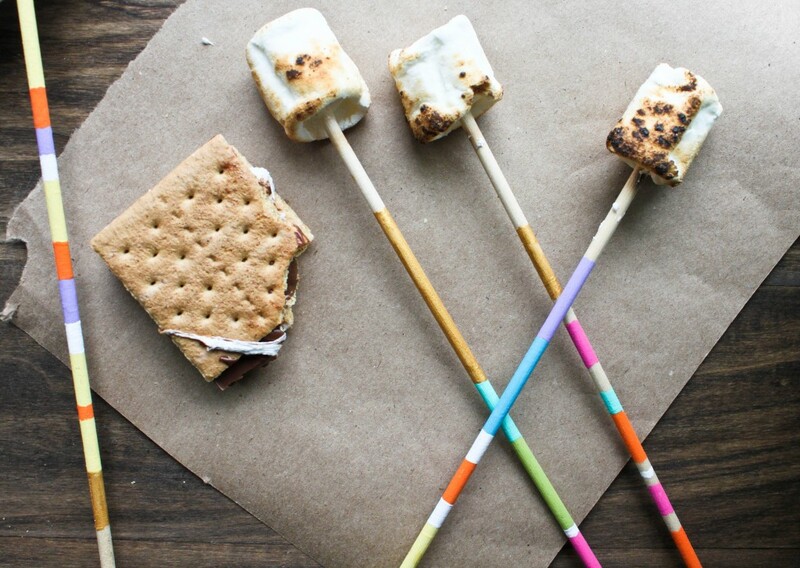 On one end of the stick, make sure to leave some non-painted room for where you plan on sticking the marshmallow. I also left a section where we were going to hold the stick unpainted. 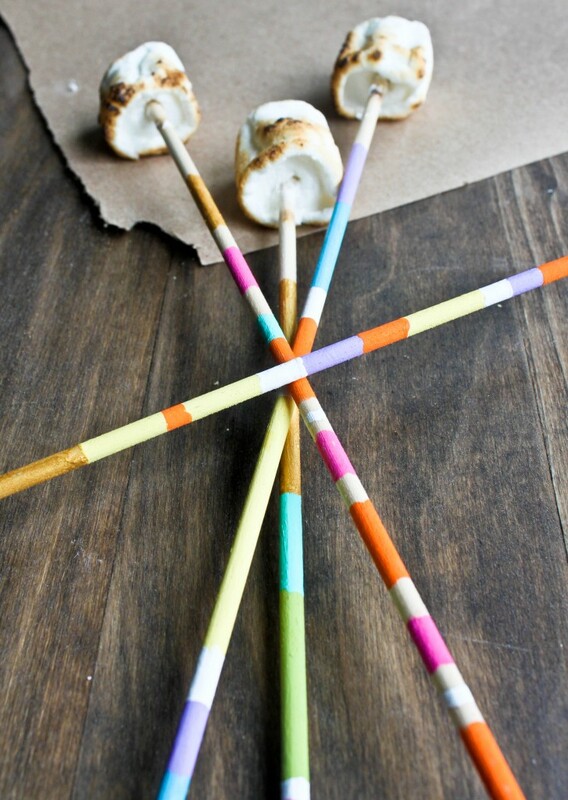 Stick each marshmallow stick into Styrofoam to help make the drying process easier. Let the paint dry completely before using. 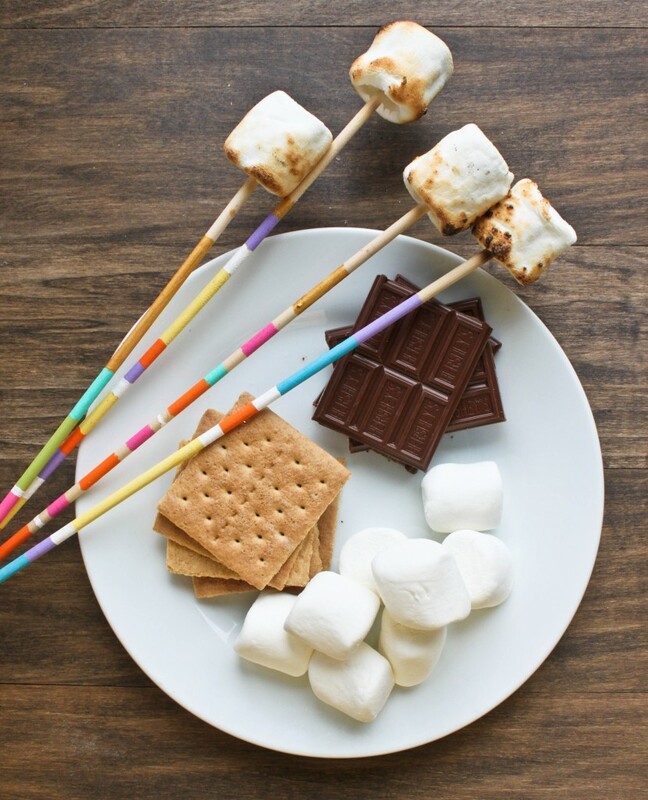 Obviously, we cannot resist S’mores! 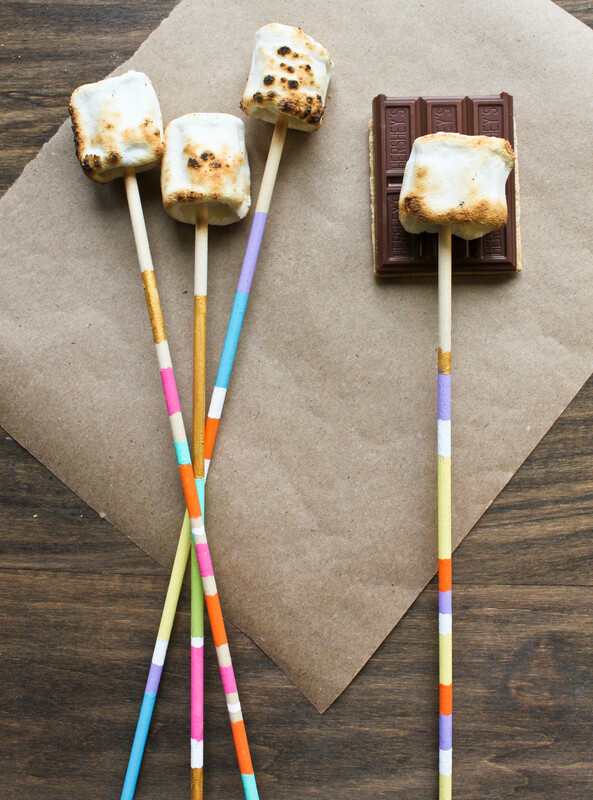 Everyone gets a marshmallow stick that is uniquely their own and will make the bonfire and s’more experience even more special! Even though it feels like summer, here in the northern hemisphere we’re still technically in the spring season for another week. So while spring is still here, you might as well take advantage of the spring veggies. Okay, I’m really only talking about one veggie here: rhubarb. 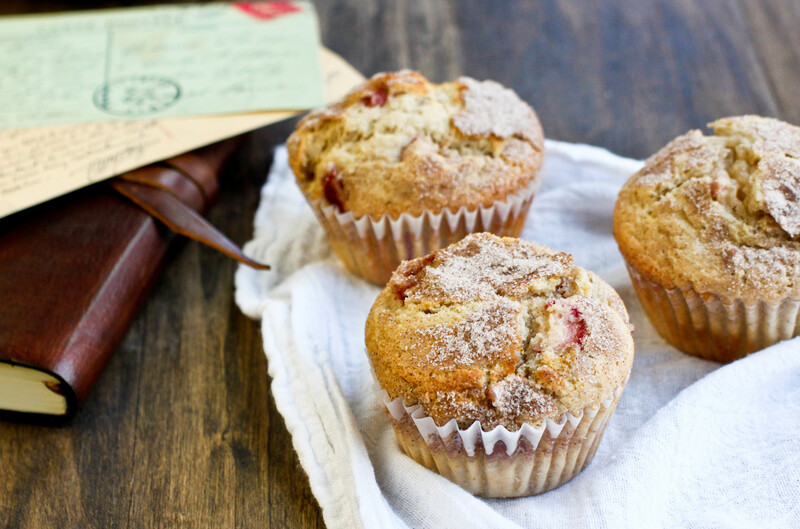 Before baking these muffins, I couldn’t remember if I’ve even tried rhubarb before. So we thought we should try rhubarb added into a sweet. 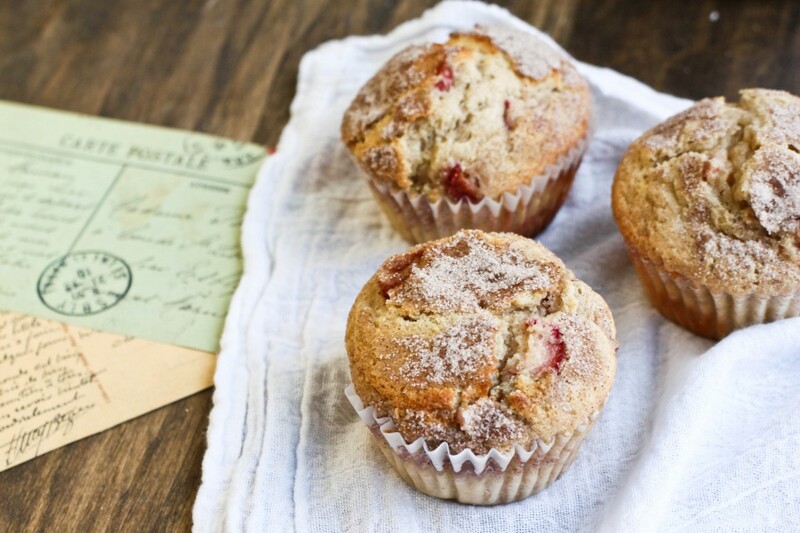 We’re now officially obsessed with rhubarb added into sweets! 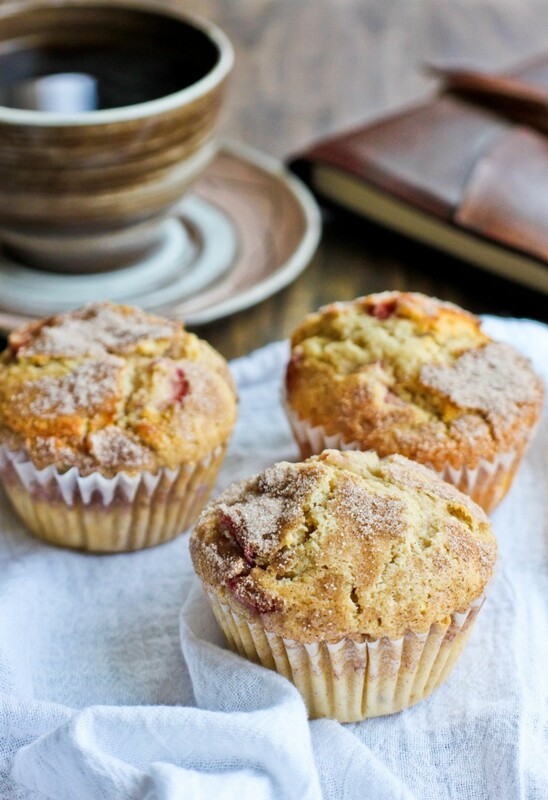 We guarantee you’ll be obsessed too… or at least obsessed with these cinnamon-rhubarb muffins. Add the flour, sugar, baking powder, cinnamon, baking soda, and salt into a large bowl. Whisk the ingredients together. In a separate bowl, add the sour cream, slightly cooled melted butter, eggs, and vanilla extract. Whisk these ingredients well and pour the mixture into the bowl of dry ingredient. Stir. Add the diced rhubarb, stirring gently. Add the batter into lined muffin cups, enough to where the batter comes a bit higher than the cups. In a small bowl mix the sugar and cinnamon together. 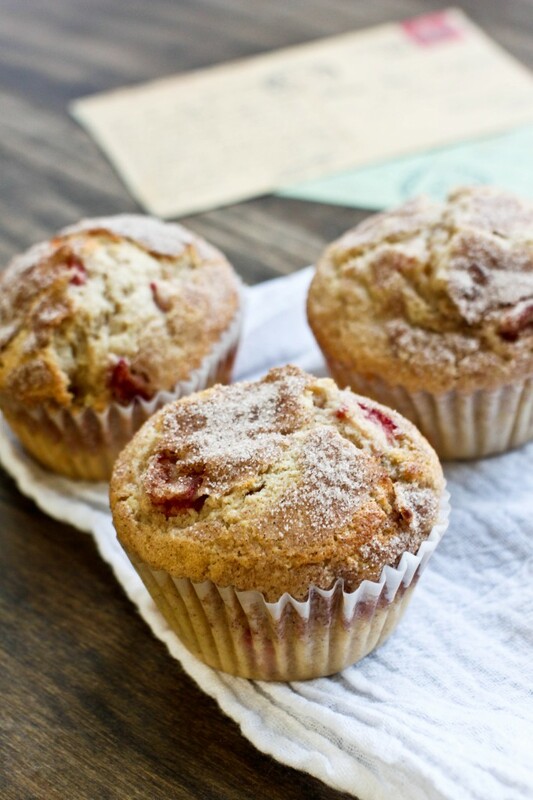 Sprinkle the cinnamon-sugar topping on top of each unbaked muffin. Bake at 400F until golden brown, about 18-20 minutes. 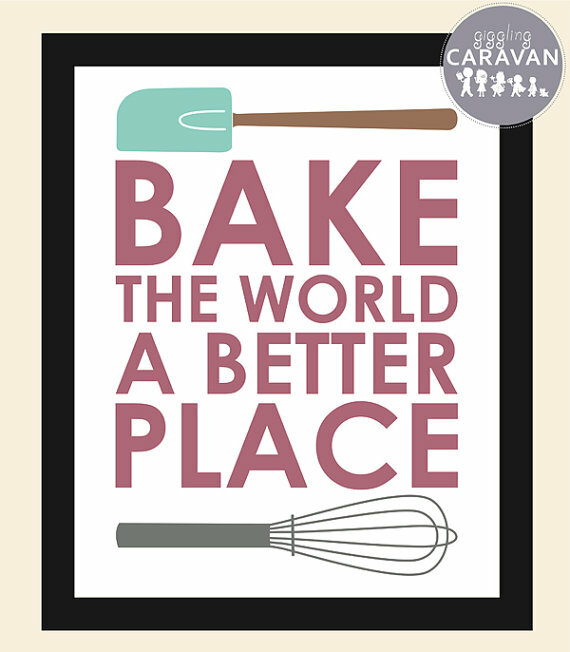 Check out this printable at our Etsy shop!